Skills and abilities: Training in armed and unarmed combat. Powers: Painkiller has the meta human ability anesthetize any part of his victim’s body including their senses. 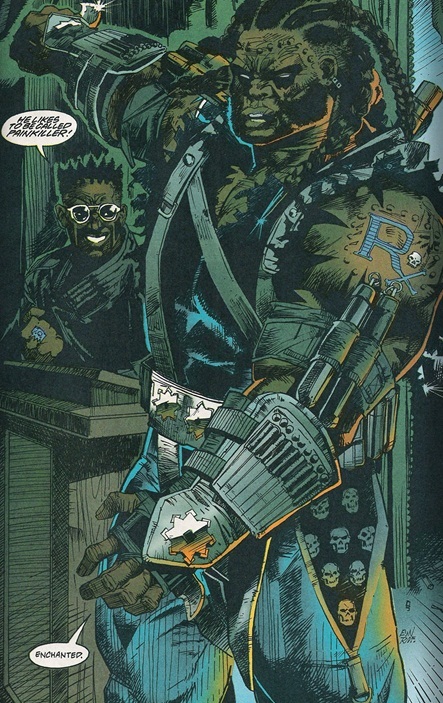 Meta Human villain who was hired to kill Black Lightning. In their first meeting he almost managed the task but the police intervened. When they tussled next a young boy ended up dying after Painkiller had taken down the entire police force. During the fight he tried to stab Black Lightning with an energy bade which caused an explosive backlash which knocked him out.